Lancia has revealed two production car and two concept cars, ahead of there world debut in Geneva. 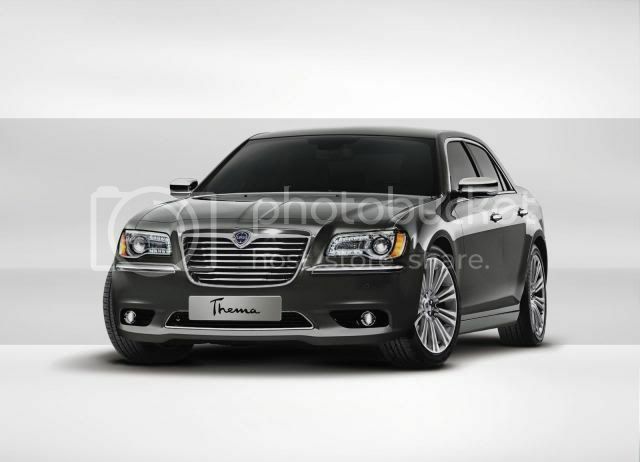 The first car is a slightly modified Chrysler 300, called the Thema. It features reworked exterior and an interior that houses Poltrona Frau leather dashboard, wood trim, and blue ambient lighting. Three engines will be available; a 3.6 litre Pentastar V6 developing 292bhp (296PS/218kW), and a 3.0 CRD V6 with 190bhp (193PS/142kW) or 224bhp (227PS/167kW). The petrol unit is matched to an 8 speed automatic while the diesel sports a 5 speed auto. 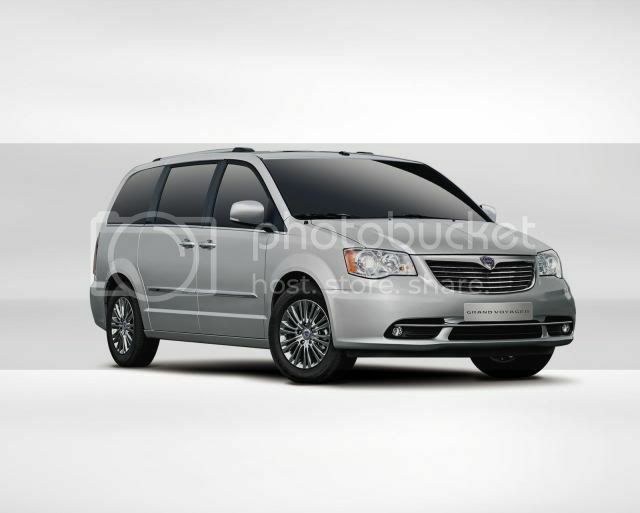 The second production car is essentially a rebadged Chrysler Town & Country/Grand Voyager, that replaces the solw-selling Phedra. Standard equipment will include a 9 speaker audio system, rear cabin entertainment system, and Stow 'n' Go seats. 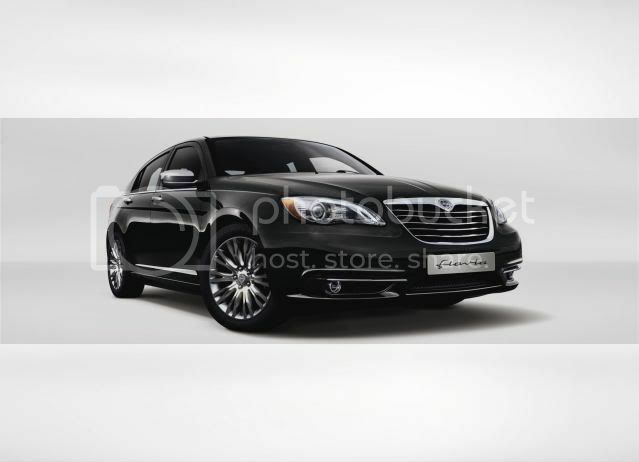 Powering the Grand Voyager will be the same 3.6 litre Pentastar V6 and a 2.8 CRD that kicks out 163bhp (165PS/122kW). 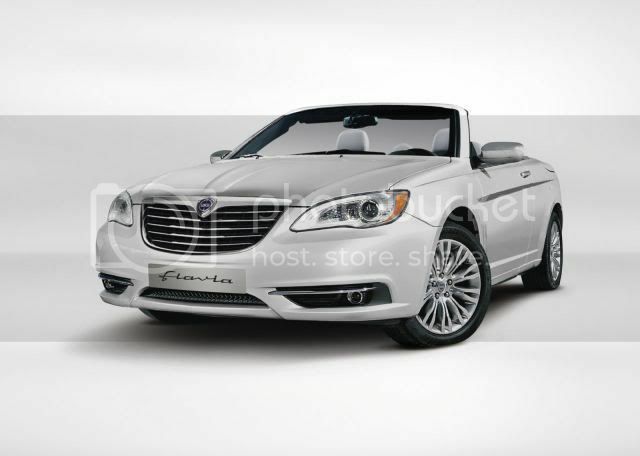 Lastly, the Flavia sedan and convertible are concepts based on the Chrysler 200. Specifications haven't been announced, but Lancia hints the cars "could be launched on European markets in record time".